‘It makes me cold to look at you,’ my mother said when the grass outside was thick with dew and the wind blew down the back streets from off the desert. I was in shirtsleeves and open toed sandals and although this wind came in over thousands of miles, it must have travelled overnight when the temperatures dropped to zero and the wind was full of ice and hinted at Antarctica. Where did I begin and end? How could the cold wind on my skin, the chill through my bones become my mother’s cold? Besides, I was not cold. I had the metabolism of a ten-year-old, a fit and lean ten-year-old who ran everywhere, even when walking was enough. In those days of winter cold, my hopefulness kept me warm. Until grade six and the early morning regulation milk at recess when for the first time I recognised the cold at the tips of my fingers. No gloves in those days, just pink fingers that grew red and itchy the more I clung to the milk bottle. I needed to give my bottle a shake to dislodge the frozen wad of cream on top. And soon enough my pink then red fingers lost all sensation. She did not tell us to put down our milk bottles first and given my tendency to do as I was told, and given my fingers were useless, I used my elbows to shake the milk bottle of ice and free my hands from the grip of their numbness. Milk went everywhere, not only over my jumper and tunic, but over the jumper and tunic of the girl who sat beside me and worst of all a projectile of milk shot across the quadrangle where we sat. It landed on Mother Perpetua’s habit. Blobs of cream glistened in the thin morning sun, not only on the asphalt in front of me but all the way down Mother Perpetua’s black robes and even on her black shoes. She reached for the rosary beads at her waist and from her pocket dragged out an enormous white handkerchief with which she wiped the individual beads as if she was reciting the rosary. But she was not serene as when in prayer. Her eye brows furrowed into one long line of black under the stiff white band that ran across her forehead and held her hair in place and out of sight. I did not know what to say. My milk bottle was empty. No longer did I need to drink but the relief I felt at being spared the cold down my throat and in my hands did not protect me from the scowl on the face of the nun that stays with me until this day and reappears in dreams when I know that I have been a sinner and can never be forgiven. I won’t say anything profound, but better the chilled winter milk than the warm summer milk. In a similar vein to your mother saying you made her cold when looking at you, my grandmother said to me when I was 18, how can you smoke when it is so hot. And what about drinking hot cups of tea on sweltering days, Andrew? My mother often recommended that and I couldn’t for the life of me see how it could cool you down. But now I do. As for that rancid milk in summer time, I agree it was worse than the frozen stuff. Thanks, Andrew. I’m not sure which came first, no more free milk of decimalisation. They came about the same time in my head and I’m not going to bother checking. They both said one thing: The world now is no longer the world you grew up in. I think the free milk continued for a year or two for the really young ones but now it’s gone for good. Why do we say that, for good? What’s good about no more free milk? Mohammed Ali died today. Or, maybe, yesterday; I can’t be sure. (I now know how Meursault felt in ‘The Outsider’.) Little by little it’s all changing. And not always for the good. Is the world a better place without Mohammed Ali in it? Or David Bowie. 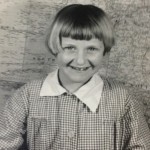 Or Victoria Wood? I’ve started reading ‘Jerusalem the Golden’ and there’s a section at the start where the protagonist talks about doing some research the old way, by leaving her home and going down to the library and looking up books. And a part of me sighed when I read that; I became nostalgic. But surely computers are better. Surely. If computers didn’t exist you wouldn’t’ve written your blog and I wouldn’t be writing this reply. In fact we wouldn’t even know each other. Where do we begin and end? I began in 1959 and who knows when I’ll end. But I’m with you. The subject of identity has always fascinated me. I never used to feel the cold. Now I do. If I’m too cold I get sleepy. If I’m too warm I get sleepy. The sweet spot sits at about 72°F in old money. I don’t understand centigrade. I know once we get into the twenties it’s getting warm but that’s about it. It’s how I think of most things these days, their –ishness. A chilling piece of writing, Lis. I like the associative aspect of it – your mother’s comment led to the memory of the milk and Mother Perpetua – and all gather together to form the sense of a child who is always wrong and always disapproved of – or the woman who can’t shake the feeling that she is wrong and disapproved of. I’m very much looking forward to the publication of your memoir. It’ll be a noteworthy event. Well I’m glad it left you cold, Sydney, pardon the pun, and thanks so much for all your support. What a lovely introduction to your writing, Elizabeth. Thank you. Thanks, Maureen. It’s lovely to see you here. 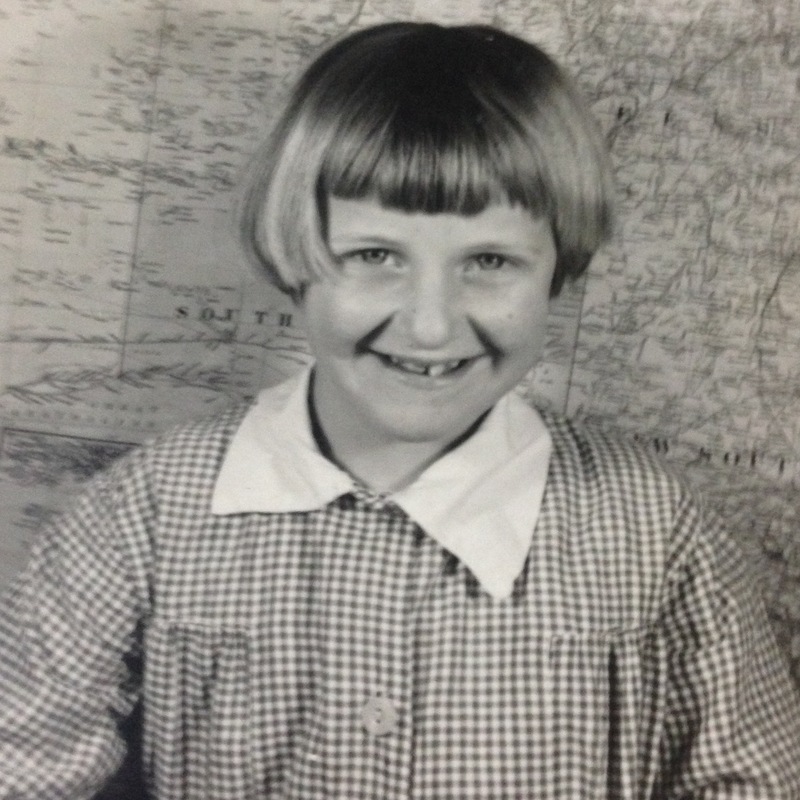 I think I am the only Australian child that actually enjoyed the school milk. I have no bad memories of warm or sour milk but I do remember feeling terribly sorry for those forced to drink it when it was obvious it was making them feel sick. Some foods are like that and I understood. On the issue of guilt, we have a friend who was raised a Catholic. He has always held very high Christian morals and ethics. He is to be admired. His upbringing and experiences have stopped him worshipping as a Catholic and they also stop him worshipping under any other denomination. Is this purgatory? Well you were lucky, Karen. Fancy enjoying that milk. At least I could usually get it down but I agree with you, there was something awful about watching those kids who could not abide the milk get sick with the effort and still be forced to drink. Purgatory is that place where moderate sinners go, as far as I know. Hell is reserved for the worst of the worst, and Limbo for the innocent babies who miss out on being baptised given they die too young. We had it all worked out. And thank God for confession where we could undo all our sins both mortal – as in serious, and venial- as in mild, and so, irrespective of how bad we’d be guaranteed our place into heaven. Unlike the poor protestants and others who had no hope. But even then, internally the guilt hung on. As much as I tried to convince myself that my sins would/could be forgiven, I had trouble believing this until I gave up believing.